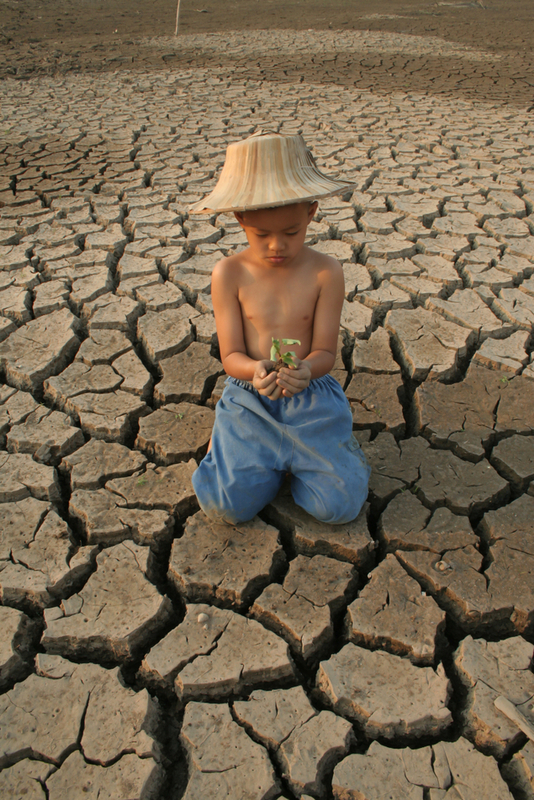 How Should Christians Respond to Climate Change? While we may be tempted to be fatalists or idealists about climate change, there’s another option. We can acknowledge the uncertainty of our situation and find a way to participate in God’s story of restoration. In 2016, renowned Arctic Scientist Peter Wadhams said that the Arctic would be free of ice “in a year or two.” Now it’s 2019, but ice still clings to the far north of our planet, endangered but not gone yet. RELATED CONTENT: Wildfires, Calamities, Division—Does the Bible Hold a Key That We’re Ignoring? It’s easy to hear a prediction like this and feel immediately depressed about the messages of environmental doom and gloom. It’s reasonable to ask whether it actually helps anyone to hear this kind of worst-case scenario. But, on the other hand, we can’t ignore the facts. The issue applies to Christianity, too, as Christians wrestle with how the environmental crisis relates to their faith. Are we believing a story of hope or defeat about God and the planet? There’s a lot to consider. Arctic ice may not be gone, but global temperatures are still rising. Signers of the international Paris Agreement about climate change initially vowed to keep atmospheric warming from exceeding 3.6 degrees Fahrenheit (the number to beat when it came to dire, irreversible environmental consequences). But as of October 2018, the Intergovernmental Panel on Climate Change (IPCC) predicts that those same results will happen sooner, at an atmospheric temperature increase of only 2.7 degrees Fahrenheit. We are currently projected to hit that number in 2040. 2040 isn’t very far away. I’ll turn 44 in 2040, and I’d like to take my family camping, or on road trips to the National Parks. However, between escalating gas prices, increased risk of natural disasters and ecosystem loss, my ability to do those things may be limited or nonexistent in 20 years. When confronted with information like this it’s easy to feel despondent, even angry. Christians can’t accept the demise of the world God made, but we also can’t promise that the climate will recover. We are people of faith, which is different from blind optimism. Basically, awareness about our environmental crisis triggers our deepest fears about meaning and survival. And tapping into those can either galvanize or paralyze us. Green notes, “Providing people with facts, figures and images about the realities of climate change can numb them and immobilize them with feelings of hopelessness.” So if we need the voice of an empowered public to sway policy in the coming decades, flooding them with ominous statistics might not be the most effective plan of action. As Christians in the discussion, we have to think carefully about this. We can’t accept the demise of the world God made, but we also can’t promise that the climate will recover. We are people of faith, which is different from blind optimism. God sometimes intervenes in the nick of time, but He also often does not, letting human affairs run their course. Biblically, there’s no guarantee that God will stop our climate short of collapse. Think about the flood. But maybe, for Christians and non-Christians alike, there’s an alternative to either fatalism or idealism about the environment: acknowledging uncertainty. In an opinion piece for The Guardian in 2018, environmentalist and author Rebecca Solnit writes, “We also don’t know what technological breakthroughs, large-scale social changes or catastrophic ecological feedback loops will shape the next 20 years.” Solnit has an interesting perspective on predicting environmental consequences, based on human inexperience of them. “Knowing that we don’t know isn’t grounds for confidence, but it is fuel against despair, which is a form of certainty. This future is as uncertain as it’s ever been.” To Solnit, our very ignorance is a significant tool in the fight against global warming. So if you’re looking for some truth to take away about climate change, this is it: we don’t really know what will or won’t happen. However, as Christians, we have the dependable truth of God’s vision to restore creation. We don’t always know what that will look like, or how, or when. What we know right now is that our planet—the one we were given to steward—is in trouble. RELATED CONTENT: Is It Possible to Host a Zero-Waste Dinner? But hope and healing for the broken is a consistent Biblical promise. In the end, it’s not about fatalism or encouragement. It’s about the kind of lives we lead when we acknowledge the uncertainty of the future. If Arctic ice can beat the odds and stick around until 2019, then there are still surprises. Educate yourself about the realities of climate change, acknowledge whatever despair you feel, but don’t let hopelessness overtake you. There’s a story of restoration, better than fatalism or idealism, and we can participate in it.